The “Pick 2” at Panera Bread (Saint Louis Bread Company to my friends in STL) probably doesn’t get the respect it deserves in the world of sandwiches. You can do soup-sandwich, sandwich-salad or soup-salad (although that’s not recommended). 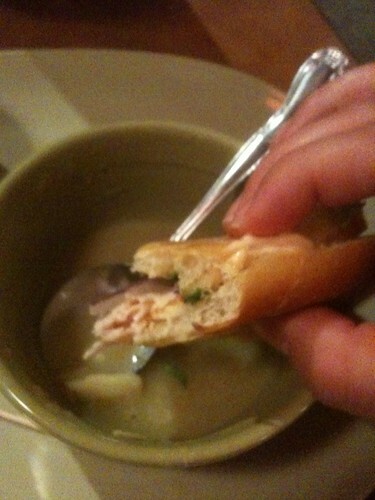 Personally, I like the soup-Turkey Sandwich option because it gives me the opportunity to dip my sandwich in the soup. It doesn’t matter if it’s Chicken Noodle (although that’s my fave) or Tomato, Corn Chowder or even Chili – I’m dipping my Turkey Sandwich like a mofo. I also enjoy dipping my cookies in milk. Dipping, dunking, whatever, I’m all about it.